In March 2019 we will be launching a new on line ordering web site for Ztechnique.co.uk . 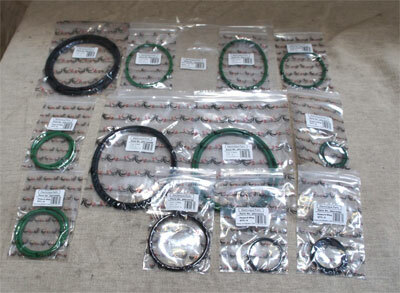 Both OEM and NON OEM Parts will be catered for in the new web site. 4. 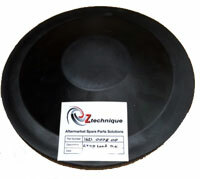 '0' oil carryover Ztechnique oil free element. Contact us now for more information on pricing. 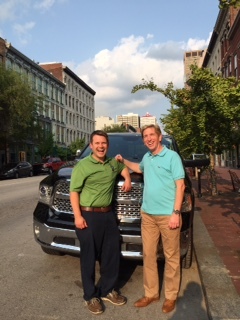 Ztechnique training was undertaken in Cincinnati last week for 10 USA Ztechnique Sub Distributors. The trainees where drawn from various states in the USA. 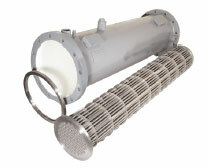 Ztechnique (Airtec Filtration Ltd) will be ISO9000 compliant by the end of August 2019. We will be putting a lot more how to do it videos on you tube in 2019 to enable customers and buyers of our parts to learn the black art of Atlas Copco Z services and overhauls. We have on offer for Hire or Sale 1 x Atlas Copco ZT200 2009 oil free air cooled air compressor 8.6 bar working pressure. This machine will be fully trefurbished before sale. Our Ztechnique Master Distributor for USA Atlas Machine & Supply Inc. dropped in for a UK visit yesterday at our St Helens operations centre. Richie Gimmel Chairman of the company accompanied by Chuck Metten and Nate Hayley are currently over in Europe. 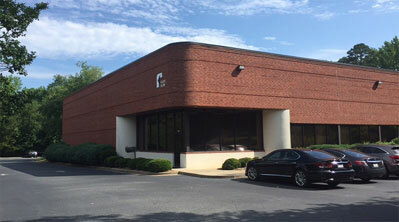 Atlas Machine are an extremely successful engineering business based in Kentucky USA. 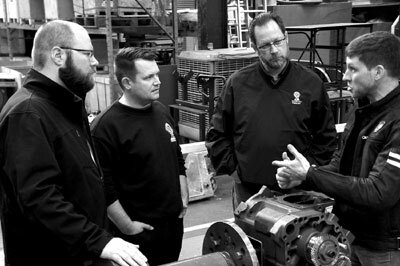 Andrew Roberts head of engineering at Ztechnique shows the guys an Atlas Copco refurbished stage 6 rotors after special coating. We have new stock of attractivly priced 1/8th and 5/16th bead size on the shelf..
"Take advantage of a great deal and call us now on 00 44 (0) 1744733211 or simply email us via Linked in for up to date prices." In preparation for our new online ordering web site to be launched in January 2019 we have extended our stores area with 3 new Mezzanine floor extension to our head office facility in St Helens Merseyside. The addition of fast-moving filters from MANN and our new Separator range has necessitated the need for additional stock space. 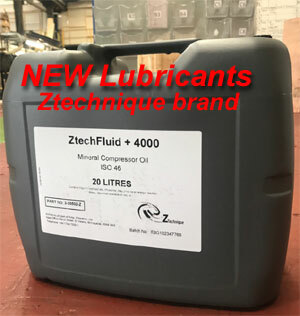 With lubricants quickly becoming a best seller we intend increasing our stock levels each month to cope with the increased demand on this product. Mark Whalley BDM commented. " We have seen a marked increase in these products since the demise of CAPS UK and have picked up the ball to be able to deliver a quality product to new customers that have come on stream in 2018. With the imminent launch of our new web site and stores extensions in 2019 we will be ready to handle an influx of new inquiry's whilst avoiding length lead times for our customers new and old"
Check out our full range of compressor lubricants. Recently one of our customers that employs Atlas Copco MD dryers on plant experienced a fault that was traced to the injector nozzle installed inside the MD drum (see the image below for reference ) The MD air dryer performance had been falling steadily by observing decreasing dewpoint. The actual fault was a damaged injector nozzle from what appears to have been heavy handed internal service carrying out a 8000 hour inspection in the past. Ztechnique have recently improved our UK production facility with expansion into our new purpose built St Helens based workshops. The new workshop developments will enable us to increase our production capability with the addition of two shift option in place. With a great start to 2018 we expect our Ztechnique element orders to increase with the inclusion of several new Worldwide distributors. 2017 will see the launch of our Ztechnique brand alternative oil free HP LP element range for Ingersoll Rand range of equipment. "We have noticed that a tremendous opportunity lies in offering Ingersoll Rand oil free customers an alternative to the OEM product. Our program will roll out from March 2017 to our distributors..."
With the addition of a 3D metal printing capability we are demonstrating to our customers that we can use new emerging technology to ensure we can produce our parts at the lowest cost in double quick time. 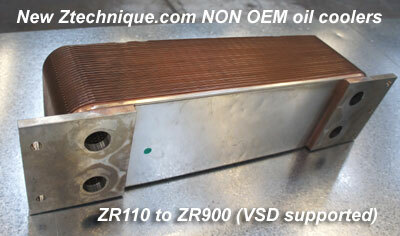 Many of the Worlds users of older Atlas Copco oil free ZA ZR ZT machines are seeking refurbished parts. 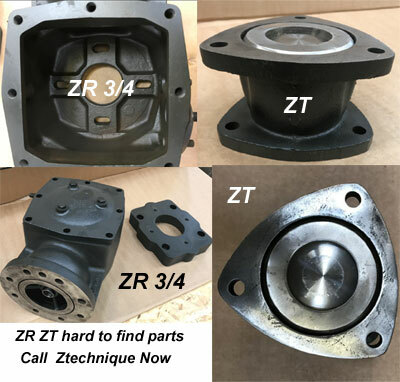 If your finding it hard to obtain these genuine parts from the OEM for example ZR3 ZR4 ZR5 ZR6 ZT255 ZT275 and MD 3,4,5,6 then please call us or click here to email now and let's see if we can save you time and money getting your Atlas Copco equipment running again for less . You can call our sales office on 00 44 1744 733211 we ship anywhere in the World and have a large number of country distributors that can assist you. Our strong growth is linked to a great set of NON Original Atlas Copco alternative products specifically aimed at the Z and MD equipment range. 2016 was a great year for adding additional Ztechnique Distributors but 2017 promises to be even better. 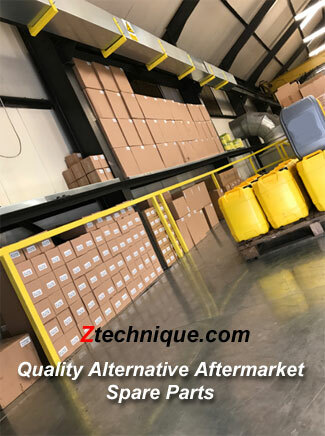 The word is out that end user and distributor alike can make great savings without sacrifice on quality to enable your Atlas Copco oil free equipment to be operated more cost effectively with alternative products such as our ztechnique oil free air ends, new and refurbished and coolers, service kits, just about everything you need to keep your plant up and running at the lowest prices. 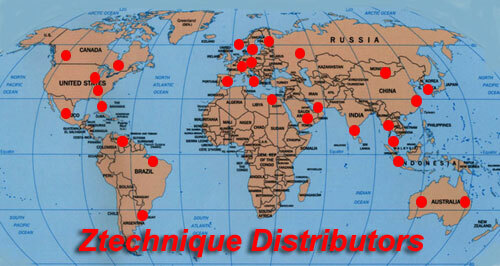 Check the map out we most likely have a Ztechnique Distributor in your region already. 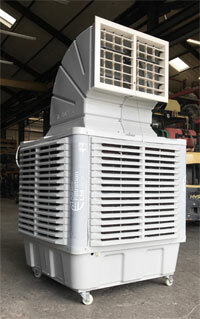 We have added these excellent spot coolers for factory or office cooling. Using only water and a fan for cooling the effective cooling range is 15 metres from the outlet. The device can sweep left to right automatically. 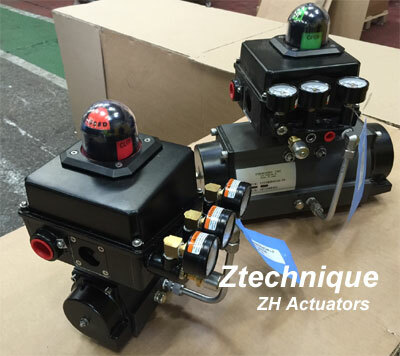 Tokuyama buys Ztechnique products to test on Z compressor.. Following an initial test order from this customer our Master Distributor I-Flow Malaysia has successfully scored a massive goal by achieving a huge order for Ztechnique elements. The partnership with I-Flow dates back to 2007 when we first met Mr Khoo and forged a long lasting relationship..
Well done I-Flow for a great job..
We are pleased to announce that we have signed a new South Korea distributor for Ztechnique oil free alternative Atlas Copco ZA ZR ZT ZH ZA MD ND products from 08-11-16. 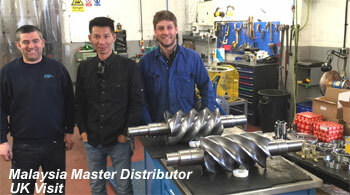 Mr Tam made the very long journey determined to become our Master Distributor for South Korea. 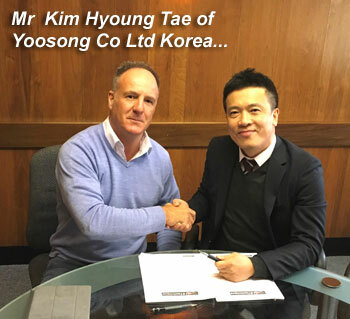 Yoosong Co Ltd have strong links to the shipyard business where vast numbers of oil free and oil lubricated air compressors are utilised..
We fully expect that it won't be too long before Yoosong Co Ltd are winning large orders in the oil free aftermarket parts and service business, particularly in the field of alternative Atlas Copco Z and MD parts where our strength lies in both quality, warranty and longevity. Do you also want to be considered for a Ztechnique distributorship in your country. In 2015 we attracted a new Distributor in North Carolina and Texas states Fluid Flow headed by the charismatic and driven Drew Schwartz CEO . Drew Schwartz came over to the UK in 2015 to meet with our Ztechnique team and look over our Ztechnique air end facility with his team Ed Borkey, Hunter Neblett and Scott Mitchell. 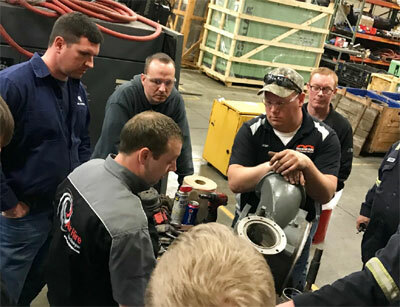 We must have impressed the guys just as much as we where impressed with Fluid Flow's vision for aftermarket oil free parts growth since we quickly agreed a territory deal and both signed on the dotted line for Fluid Flow to become our second North America Ztechnique distributor . Sales have been healthy for Fluid Flow borne out by a recent visit from Mark Whalley BDM of Airtec Filtration Ltd in June 2016 who toured the facility and discussed sales opportunities with the FF team.
" Great things are happening right now for Fluid Flow with sales reports showing a healthy take up of our Ztechnique parts to a blue chip list of Fluid Flows customers. Early indications are that the combination of available off the shelf key parts and enthusiasm to build great customer relationships is paying off with several Z overhauls underway and more in the pipeline for 2016/17 period . 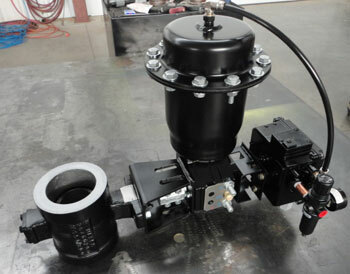 Can we help your business grow aftermarket oil free parts business like Fluid Flow ? 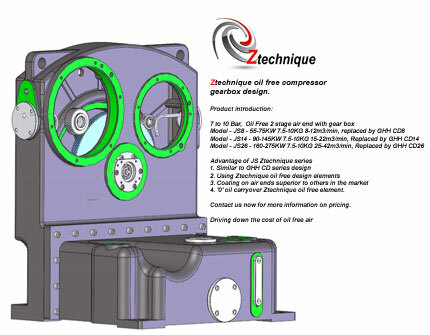 Ztechnique driving down the cost of oil free air ..
Ztechnique has launched its own brand of alternative lubricant for Atlas Copco ZA ZR ZT ZE air compressors. 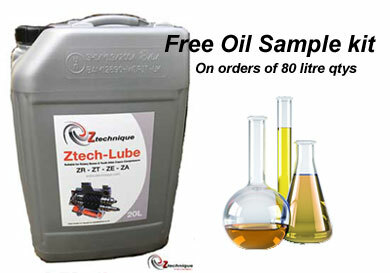 Furthermore to be guaranteed of a great oil we have included a FREE oil sampling kit voucher for oil purchases of over 80Litre qtys . 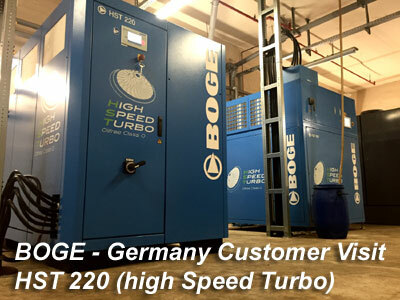 "The existing German BOGE HST customers where very open about the last 12 months experience with the HST compressor and the message that came across loud and clear was one of extremely enthusiastic customers that are not missing the oil that a traditional oil free screw or turbo compressor requires!! With lifetime ownership costs significantly lower than a dry screw and no planned overhaul period (or oils or oil filters) the future looks bright for this particular textile manufacturer lowering his compressed air ownership costs over 5 years and beyond." Quorn foods (Marlow Foods) is the latest addition to our service contract portfolio. 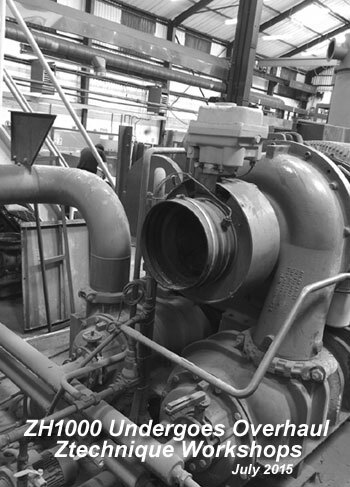 Quorn have a number of air compressors and operate two pressure systems on site for Quorn production. Quorn products are made from Mycoprotein. Mycoprotein is a nutritionally healthy protein source* that is meat free and naturally low in saturated fat and high in fibre. 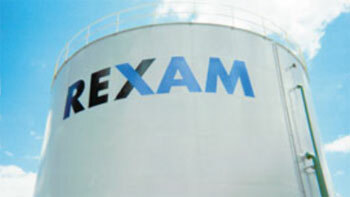 Our Business Development Director Mark Whalley recently paid a courtesy visit to Rexam Mumbai. Mark Whalley Said "You have to give your time to customers if you want to develop relationships and trust to attract new business. The visit to Rexam Mumbai was an extension to my India tour this March and was extremely enjoyable to meet the site engineers and provide a free inspection of the Atlas Copco ZR250 IMD units. We hope to develop a closer relationship with India as part of this initiative"
I recently visited our Indonesian and Malaysia Ztechnique distributors and had the pleasure to visit the Jakarta Engineering Expo for a day during my busy schedule. Here I am at the Atlas Copco Indonesia stand sharing some story's with the Atlas Copco team.. 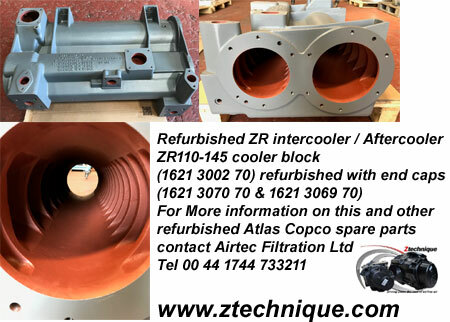 Recently an existing customer of Air Hire in the Middle East region with Atlas Copco ZH Turbo compressors found it very difficult to obtain replacement actuators for his ZH6 compressor. This was causing a costly downtime of the plant and reliability issues..
Can we help you drive down the cost of oil free air ? 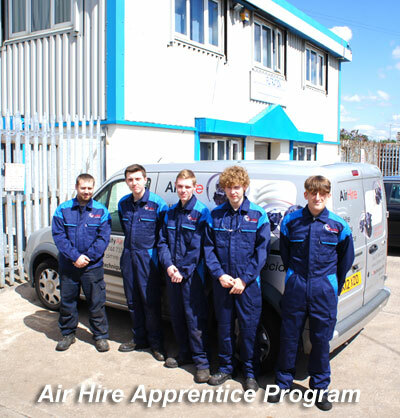 Our apprentice oil free training program has been growing steadily with 4 new recruits under the supervision of our Service Manager David Hatch seen to the left of the 4 apprentices in the image. Next to Alex is Bradley who has turned out to be the star performer currently working under Andrew Roberts in our air end centre. Next to Bradley is Sam our most recent apprentice Sam who has recently started his training program with us , last but not least Charlie who has been involved with our in the field technicians recently for Z oil free training. "Its extremely important we provide not only trained service engineers for the future of the compressed air industry, but also grow our own engineers with the disciplines and capabilities we expect from our engineers in the field"
Following our recent partnership to supply NON OEM ZH Turbo compressor parts we have secured our first Atlas Copco ZH compressor overhaul on a customer ZH10000 Turbo Compressor..
"This is a field which we know is relatively untapped in Europe & Asia to undertake independent service using our high quality ZH compressor alternative spare parts. 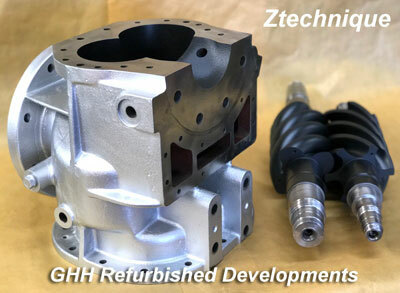 ZH service has mainly been dominated by the OEM direct teams and represents a great opportunity for both customer and our Ztechnique's aftermarket business to drive down the cost of oil free air for its customers and dealers alike. We are very excited to be providing this service now and in the future"
Said Mark Whalley Business Development Director. If you are a user of Atlas Copco ZH compressed air equipment please contact us with your inquiry for service or parts and we can provide you with a quotation for comparison to the OEM. 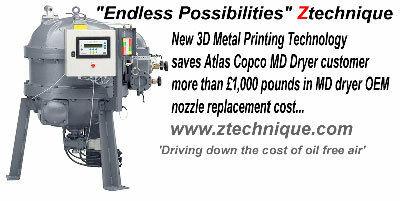 We are confident that our metalic and consumable parts will be significantly less expensive than your paying now..
Atlas Machine & Supply Inc of Louisville has successfully proven what a Ztechnique partnership can achieve in the first six months existence..
Atlas Machine has been very busy forging sub dealers for Ztechnique spare parts in the USA as well as attracting Atlas Copco end users who need a choice of where they can locate oil free Z spare parts. 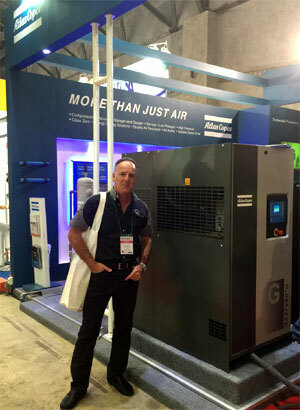 "Having a master distributor such as Atlas Machine has already attracted huge attention in the USA from sub dealers of compressed air equipment , allowing the dealers to undertake tasks on Z compressors they previously struggled to obtain high quality NON OEM parts for. 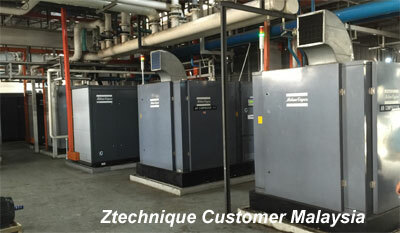 With inventory on the shelf of Ztechnique elements, coolers, kits, etc Atlas Machine are able to ship parts the next day in many cases providing a lifeline for customers needing a fast service when a plant breakdown has occurred. We are very proud to be associated with Atlas Machine Supply Inc"
Why not consider your business driving down the cost of oil free air ? In Bev Magor Gwent has recently had its additional refurbished Atlas Copco ZR5 oil free compressor and MD Dryer commissioned by our company. The equipment has been retrofitted with an ABB VSD drive to enable a speed window between 600 and 1485 rpm to enable better control of the sites air pressure whilst enabling energy savings for the company.
" InBev is now an established service customer of our business and requested we quote against the OEM's for an additional VSD enabled compressor in 2014. Our sales and technical team successfully put together an offer that ticked all the boxes for the InBev technical team at a fraction of the cost of purchasing new equipment from an OEM." 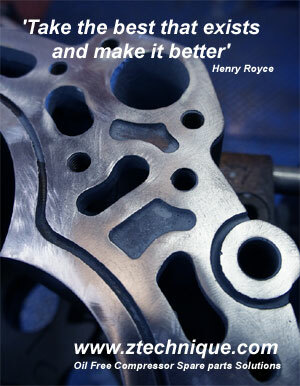 Could we help you reduce your oil free maintenance and equipment costs ? 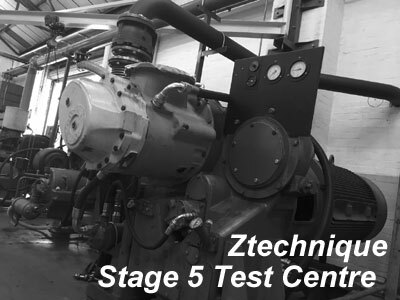 Our air end test centre just got extended to complete the required testing of our new Ztechnique Stage 5 elements that are now on the market from June 2015..
Every element we produce is thoroughly tested before sale to ensure its running parameters meet the required expectations for a Ztechnique element. 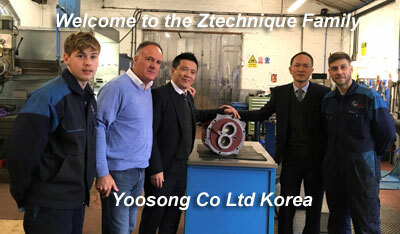 Due to unprecedented levels of demand for Ztechnique elements and demands to produce other competitive rotors we have invested in our own dedicated rotor cutting machine..
" Our business has gone through dramatic growth and this has put strain on our rotor supplier to meet the increasing demands on suppliers. The decision to invest in our own dedicated rotor cutting machine was an easy decision for the business particularly when you consider the ease at which we can meet our production demands and develop other rotors for other OEM brands. Our future in the alternative oil free element market is further secured with this purchase and reinforces our commitment to further investment in Ztechnique products." 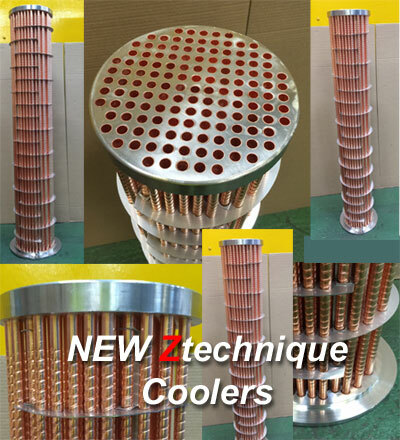 Ztechnique completes its Stage 5 project with our new element entering full UK production from May 2015..
As an alternative to all stainless steel construction we have optional NON OEM replacement coolers for Intercooler and aftercooler for Atlas Copco ZR compressors. Being significantly less expensive than the OEM product these coolers represent excellent value for money and have great longevity in service. Can we help you drive down the cost of oil free air service and parts ? 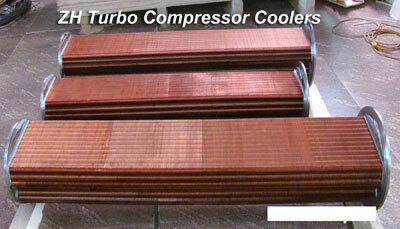 Oil coolers for Z compressors.. 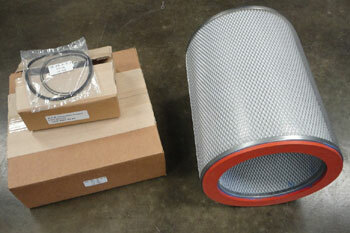 Here you can see our all stainless steel NON OEM coolers. 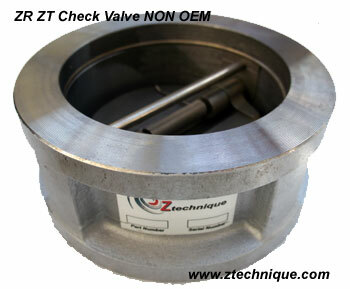 We have a complete range of NEW ZT ZR Diaphragm products available from Ztechnique. Great products and at great prices.. Potential Ztechnique oil free spare parts and services customers turned out today in Malaysia for our first oil free seminar focused on attracting new business for our Malaysia Ztechnique master distributor I-Flow. 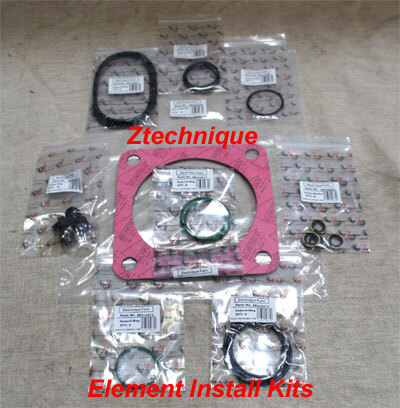 Generating huge interest was our new Ztechnique elements and service kits that can save thousands of pounds for oil free users compared to OEM prices. 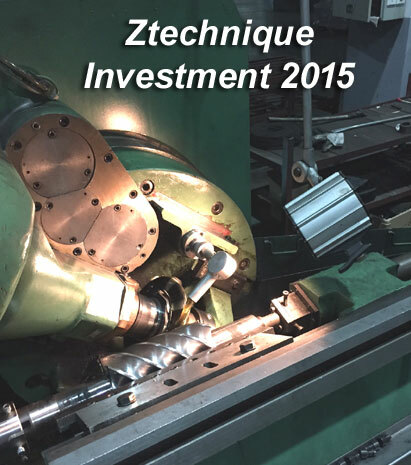 I-Flow's service has Atlas Copco trained engineers that have already installed Ztechnique elements in 2014 with great success. Our next seminar is coming up in May in Penang and should also be well attended. Many thanks to everyone that came today and we hope to be of service to you all. 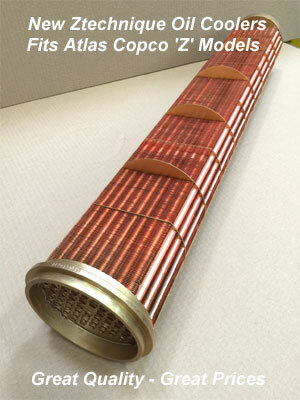 Our latest product development has sourced replacement NON OEM water pipes for Atlas Copco Z compressors. 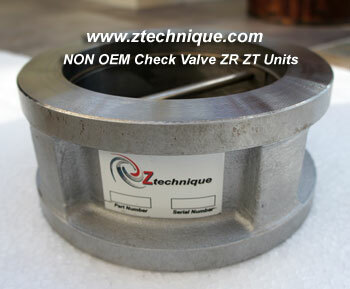 At significantly lower cost than the OEM parts Ztechnique helps its customers save thousands on spare parts costs.. Following on our success of sales of replacement element stages for Atlas Copco Oil Free Z compressors we are proud to announce that from May 2015 our NEW NON OEM Stage 5 replacement element will be available to our end users and distributors alike around the World. With significant sales of our stages 1,2,3,4 this year we have heavily invested in more Ztechnique products and the new stage 5 will be very competitively priced when compared to OEM prices. Isn't it time your business considered Ztechnique ? New customers are hard to find and at least one of our new customers expressed that after 21 years with the OEM it was a difficult decision to switch allegiance but ultimately a better one for the business based on a more attractive offer from Air Hire lowering service costs significantly whilst increasing reliability and longevity of its existing compressors with Ztechnique products..
With this particular customer we have several other worldwide service agreements and supply of critical parts in Asia, Europe USA and Russia, truly a global partner for our business. "Working with large oil free customers is our forte and where the biggest savings in Z compressor and MD ND dryer operating costs can be achieved together with our air audit and control system offering from Sarlin Balance for example. Listening closely to the customers' needs is where we score time and time again and you don't need additions like GSM Devices like Smart Link to do that!! You just have to be diligent in service and listen to your customer !!." Can we help you drive down the cost of oil free compressed air ? 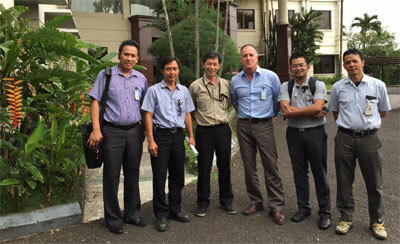 Our recent visit to Indonesia has developed into a new distributor and some great oil free Z and MD customers. Our Business Development Director pictured here visited a number of large oil free Atlas Copco oil free Z compressor installations and listened to each plant manager's needs and issues with the compressors and dryers. 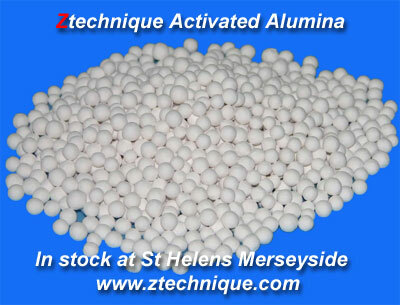 Valuable information indeed that subsequently has led to initiatives for our master distributors to offer great deals to these customers resulting in several Ztechnique new and refurbished element orders. Visiting Jakarta, Sumatra, East, West Java Mark found the Indonesian people extremely welcoming and interested in reducing costs without compromise on quality. Following on from the success we have in Z oil free screw compressor service and spare parts we have expanded our services and parts capability to include service and repairs of Turbo compressors. We are initially aiming at the service and repairs of Atlas Copco ZH compressors with a wide range of OEM and NON OEM parts available to the market. 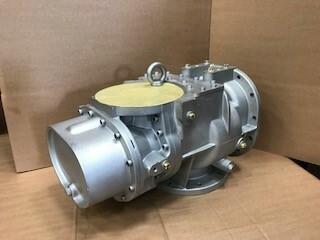 With a network of International distributors we are able to cooperate to solve your problems wherever you may be with capability's on Cooper Cameron and Elliott and Samsung turbo compressors..
Our service technicians are drawn from the industry and confidently help you drive down the cost of oil free service. 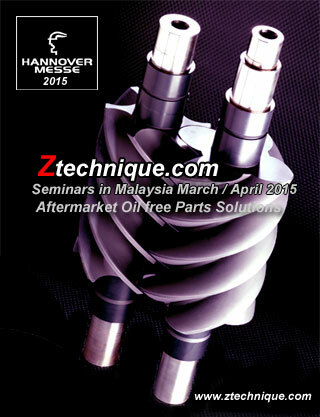 Ztechnique will be visiting the Hannover Messe this April 2015 to show our NON OEM spare parts for Atlas Copco range of oil free ZA ZR ZT ZE air compressors and MD dryers. 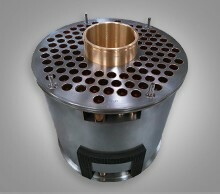 Our products provide a reliable costs effective alternative spare parts solution for oil free Z users around the World. With a standard 18 month warranty on our new Ztechnique elements and 12 months on refurbished elements you can be assured you are buying a quality aftermarket product with many hundreds of elements already sold. You can extend your warranty on your Ztechnique element to 5 years with a simple service contract solution. 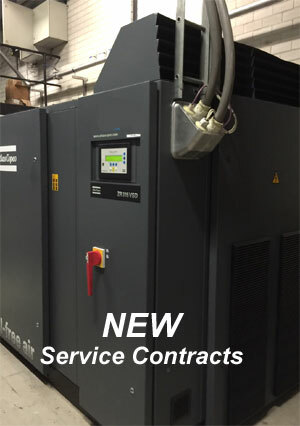 Following on from the success of our company acquiring the 3 year service contract at Iberdrola Tarragona Power we have won the order to convert an Atlas Copco ZR315 VSD on site to Variable Speed control. 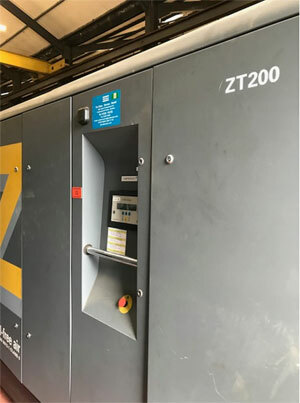 The customer has recently purchased a new ND1000W Atlas Copco air dryer to be installed alongside the ZR315 to improve the overall performance on site of the compressed air system. Our innovations in converting fixed speed Z compressors has really gained momentum since the first installs 3 years hence. Can we help you lower your cost of oil free air ? 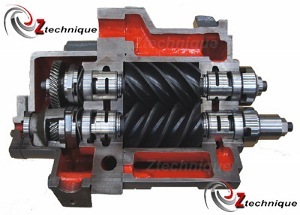 Our seminars will introduce both distributors and customers alike the benefits of using Ztechnique aftermarket oil free compressor and dryer parts that can often save as much as 50% over OEM prices without compromise on quality. Ztechnique will be hosting two seminars in Malaysia in March and April 2015 for customers and distributors alike in KL and Penang. 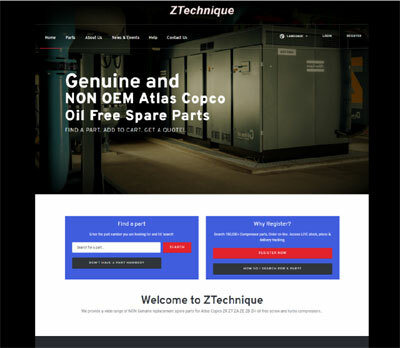 We have been working on some Distributor sales tools to show the quality of the Ztechnique alternative air ends for Atlas Copco's range of ZA ZR ZT ZE oil free air compressors. Open castings, Rotor sets, etc all show the internals of our Ztechnique elements. Louisville, Kentucky and St Helens Merseyside, United Kingdom Atlas Machine and Supply, Inc. and Z Technique announced today a partnership to provide non-OEM compressor elements and aftermarket spare parts to North American industries relying on oil-free, rotary screw air systems in their manufacturing process. 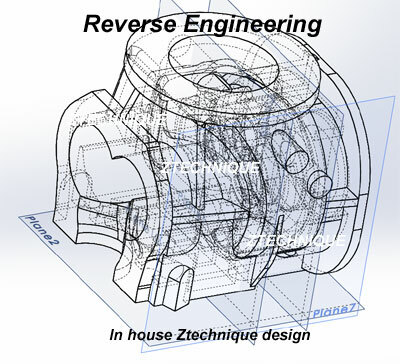 The collaboration also establishes Atlas Machine and Supply as Z Techniques Master Distributor for all non-OEM parts and products, including high and low pressure elements for oil-free, rotary screw air compressors. The partnership provides industries that rely on oil-free compressors with a cost-saving alternative to purchasing replacement oil-free parts, including oil-free elements, through original equipment manufacturers (OEM). 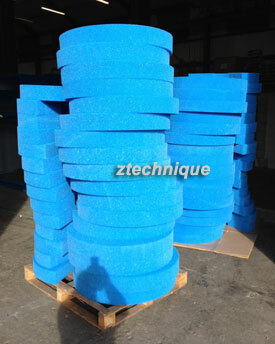 Additional savings can be expected from quicker response time and having stock in the United States. 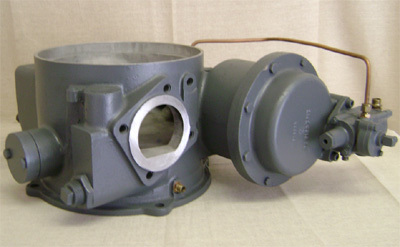 In addition to focusing on providing non-OEM replacement elements, Atlas Machine and Supply has been named as the companys national Master Distributor, and as such is stocking a full line of oil-free compressor parts frequently needed by industries in the U.S. to keep their oil-free compressors operational. 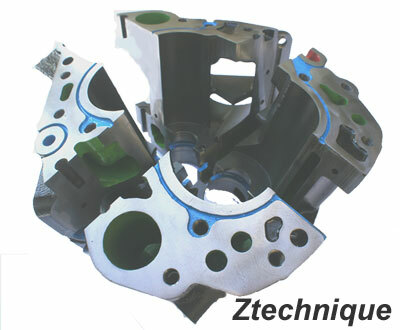 For more information about the Z Technique non-OEM elements and other related oil-free parts and services being provided through Atlas Machine and Supply, email oilfree@atlasmachine.com or call U.S. toll-free 1-855-GO ATLAS. 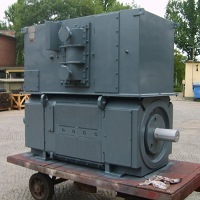 Note: Atlas Machine and Supply, Inc. is an independent supplier of compressor replacement parts and is not affiliated with Atlas Copco. 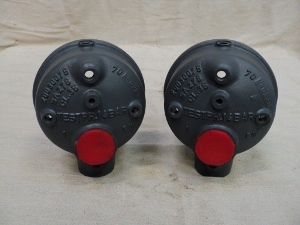 Original equipment manufacturer (OEM) names are the trademarks of each manufacturer. 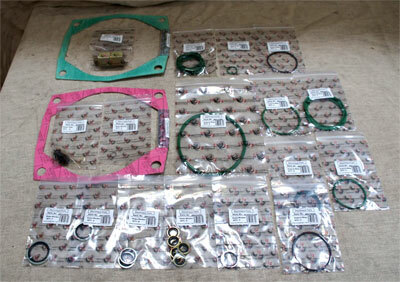 On products marked equivalent or replacement, OEM names and part numbers are for reference only. 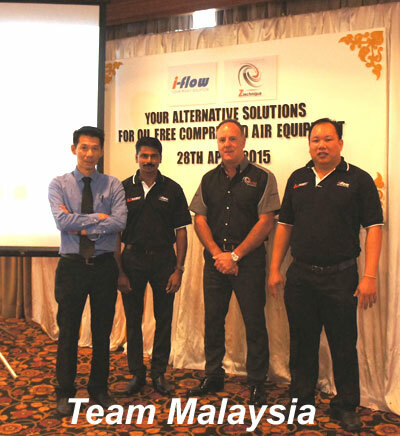 Following a successful business mission in December 2014 to meet with several of Malaysia's 'Z' compressor users (courtesy of our country distributor ) we have successfully won several new overhaul tasks since our visit with Blue Chip company's we can be proud of serving. 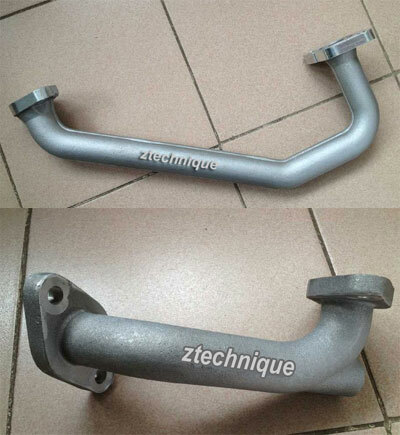 Many customer who are disillusioned with the OEM service & prices expressed a keen interest in Ztechnique New elements with notably the benefits Ztechnique parts provided , one way shipping , element performance figures , extended warranty (5 yrs) and quick efficient service from our country partners. 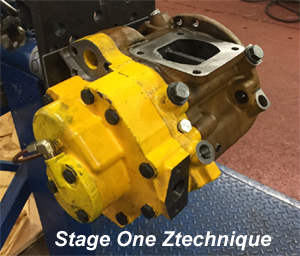 Following on from the first Ztechnique overhaul we have swiftly won yet another two ZR overhauls in quick succession ! Well done guys and ladies a great effort so far and more to come. Driving down the cost of oil free air yet again !! Could we help your business save money when overhauls or element failures occur ? Contact us now or call 00 44 1744 733211 and we can introduce you to our country partners for a FREE site survey and quotation..
Time for a great new clothing image look for our International Engineering team..
Ztechnique Stage 1-3 project New Elements for Atlas Copco Z compressors from Mark Whalley on Vimeo. New customers for Ztechnique in Asia..
Ztechnique has been busy developing new distributors in Asia and has secured new business in several technology manufacture company's. With our innovative products we have proven to new customers with Atlas Copco compressed air installations that our products have 60,000 hours longevity at much lower prices than OEM prices. The old guys often are the best ! Congratulations to our older members of the team who are our backbone of the workshop overhauling Atlas Copco compresors and dryers in our St Helens workshops. We appreciate the Engineers dedication to work and efforts in ensuring a great job is carried out each week. Air Hire recently designed a water cooling solution for InBev Brewing in Preston to enable clean water to circulate an Atlas Copco ZR132VSD with cooling water problems. The water pipes (alloy) and coolers where constantly fouling due to poor site water cooling and a solution was agreed in the form of a closed circuit cooler close to the problem area. This enabled InBev to still use its existing site cooling water for primary cooling , but also enabled the compressor to have clean water flowing around its system. Can we help you with your compressed air system ? Air Hire has successfully achieved a long term compressor & dryer maintenance contract with Iberdrola Operación y Mantenimiento for its Power plant after competing with the OEM for the service and overhaul work over the last 12 months.
" Achieving this premium customer in Spain has been a major success for our business. Driving down the cost of oil free service whilst providing a quality product is forefront in our minds when approaching large clients like Iberdrola who like any business requires to reduce its costs for maintenance on compressed air "
Could we help you lower your Oil Free Service costs ? These are just some of the many spare parts we are adding to our web site with more interesting parts to emerge in the coming months. Ztechnique Interview Mark Whalley discussion regarding NON OEM Atlas Copco alternative elements and parts from Mark Whalley on Vimeo. 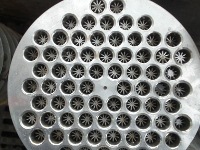 1,2, 2 long, 3,4,5,and 6 element parts. 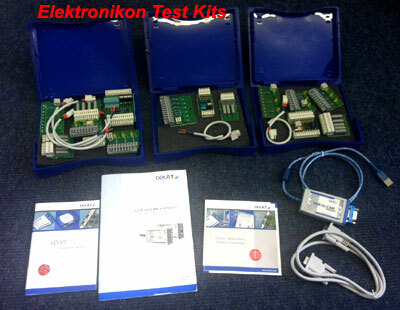 Prices for these kits are on application to your sales department. 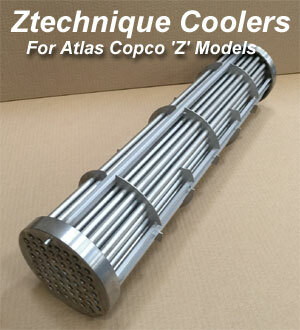 No Warranty is offered for self assembly of the Atlas Copco Z element. 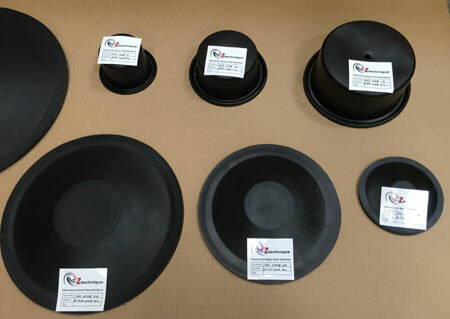 You should consider our business undertaking this work for you as it involves several other specfic procedures and coating application. 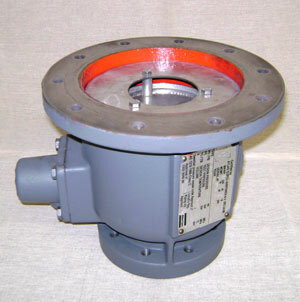 Please request our refurbished overhaul price from our office for guarranteed work on your elements. Our bearings will last more than 50,000 hours run in normal running conditions. Mila has the responsibility for assisting our spare parts quotation team for Atlas Copco NON OEM products quotations. Mila has numerous European language capabilities and has also studied European Law at the Pavol Jozef Safarik University in Slovak Republic and is a highly motivated Individual. Mila will be able to assist our overseas inquiry's to speak in the native language if possible. We are very pleased to be adding Mila to our team and wish her all the best in the future with our company..
You can save massive amounts of money by using our Demister pads and MD service kits as well as using our Direct service team when required. Ztechnique and Air Hire Service & Training division has been adding some great new customers to our International portfolio of clients. Our initiatives in VSD conversion and Energy recovery have been big winners with our clients needing to save & recover energy. Iberdrola in particular have a huge range of Atlas Copco Z & MD Oil Free equipment and have engaged Air Hire to find solutions to rising maintenance costs and energy efficient solutions. 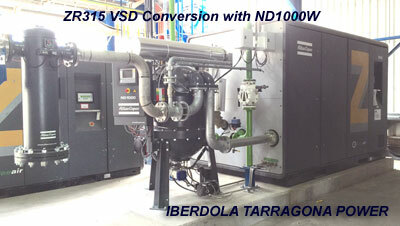 Our most recent task for Iberdrola Spain has seen us reduce maintenance costs (40,000 hour overhaul) by 30% off OEM prices and has resulted in a company drive to save on compressor maintenance bills across the entire Spain Installed base of compressors and dryers. In 2013 we secured the service contract and overhaul on the Vauxhall Cars UK site. Beating of tough bids from competitors we have proved that we can not only deliver a substantial price saving on service costs , but we also offer a 24/7 reasonably priced call out charge when issues arise. The equipment is ZR900 VSD and is shortly to be overhauled under the terms of the service agreement slashing over 35% of OEM list prices for the same task. 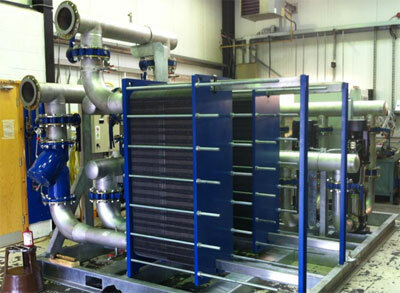 We have recently built a closed loop heat exchanger system for a large International client of ours in Egypt. 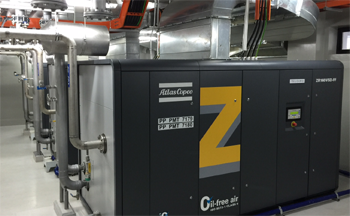 The water quality circulating the Atlas Copco Oil Free Z compressors and MD dryers was causing contamination of the compressor and dryer cooling system resulting in big bills for cleaning and replacing coolers on the customers equipment. Air Hire provided a solution to clean up the water system around the compressors and factory critical equipment.